A Primary guest as described above must provide proof of eligibility in the form of a copy either mailed, faxed or emailed, of their current I.D. Badge from their respective airline company. This is the only form of accepted identification needed for the Airline Employee. 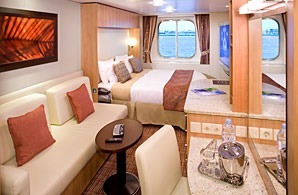 Guests may have to provide proof of identification at pier check-in along with proof of qualification for each occupant of the second stateroom (if any). Failure to produce authentic identification may result in the cruise fare reverting to full retail tariff at time of check in or boarding may be denied. 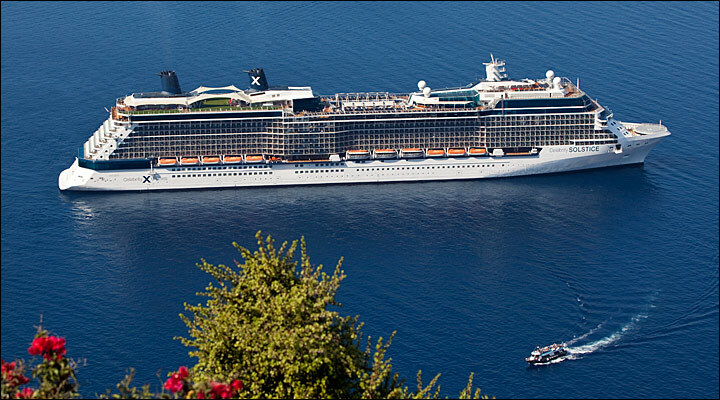 Celebrity Solstice is one of Celebrity’s most decorated ships. So it's no wonder that it's full of "firsts." The first Lawn Club at sea. The first Hot Glass Show. 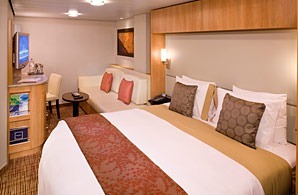 The first cruise line to have five women, known as "the Leading Ladies," redesign its staterooms. Celebrity’s passion for outstanding cuisine takes the onboard dining experience to a whole new level. 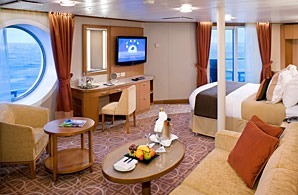 But luxurious staterooms and specialty restaurants are only part of this ship's charm. 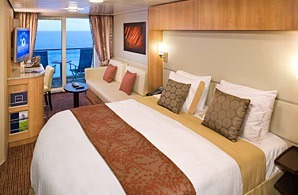 Celebrity Solstice also features Canyon Ranch SpaClub and fitness center. Pamper yourself with spa treatments or push yourself in a workout with one of their expert trainers. If only life on land were as good as life on board this exceptional vessel.